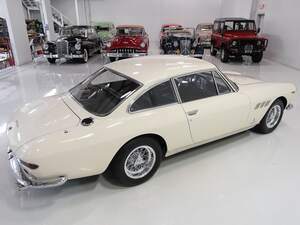 Behold: the 1962 Ferrari 330GT Coupe. 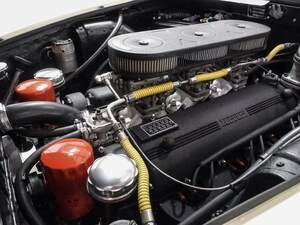 And not just any old 1962 330GT Coupe. 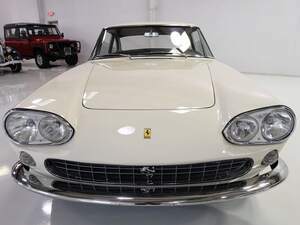 This was Enzo Ferrari’s 1962 330GT Coupe – one of the few Ferraris driven by the company’s illustrious founder, who famously favoured Peugeots, the crazy old buzzard. The 3.9l Colombo V12 engined 330 was Ferrari’s first proper four seater GT and this one (which Enzo drove to drum up interest in the new model) has the distinctive (later discontinued) quad headlight configuration. 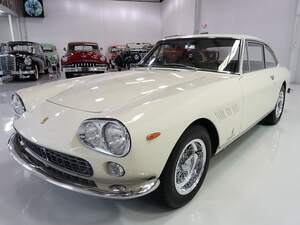 Fully refurbished with its original Pininfarina bodywork and paint – yours for a cool €485,000. 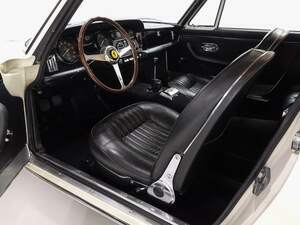 Posted in Design and tagged Ferrari 330GT Coupe at 3:33 pm on April 15, 2019 by Chompsky. Now why can’t the modern, vulgar “supercars” be this elegant and beautiful? If I owned that, I’d live in it. If I owned that, I’d have to.